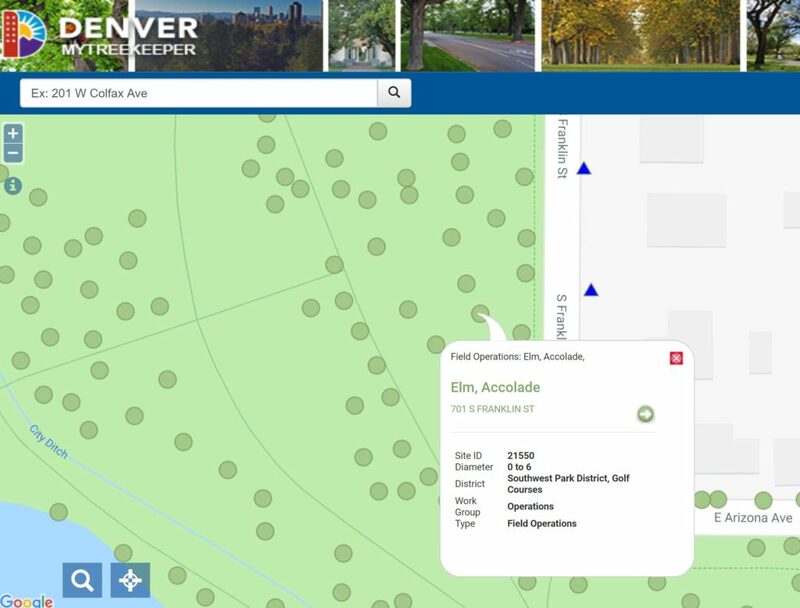 My Tree Keeper is an interactive web page that has details on every tree in Denver that resides on public space. Every tree within Washington Park has be identified with this tool. If you open the website on your smartphone you can locate trees near you and get some basic information about the tree. The FANS Tree Guide provides far more detailed information about specific trees within the park.